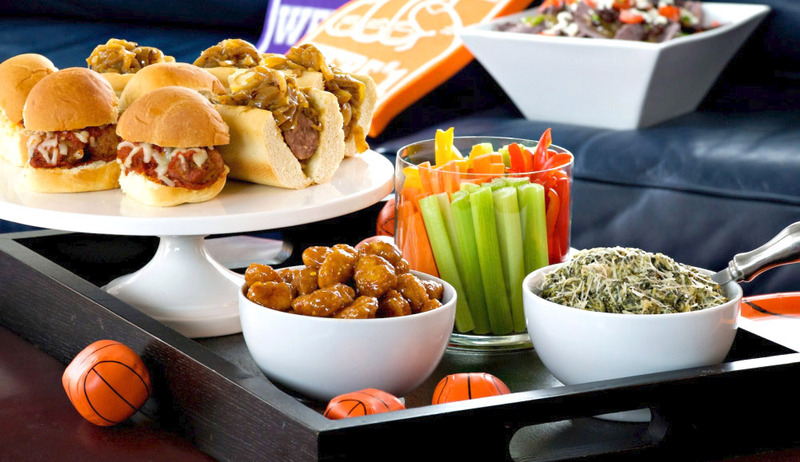 Hosting a March Madness party? For some sports fans, March Madness is basically an extended holiday. Celebration for NCAA Basketball fans means planning fun ideas, hosting parties, and placing bets. But don’t let food illness ruin your festive gathering with friends and family. 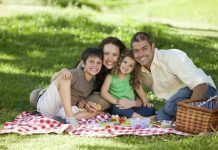 Follow simple food safety tips to keep your party free from dangerous bacteria. One in six Americans will get sick from food poisoning each year. 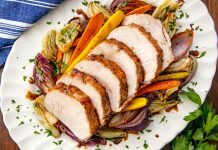 By following four simple food safety steps, you can help keep your family safe from food poisoning at home. 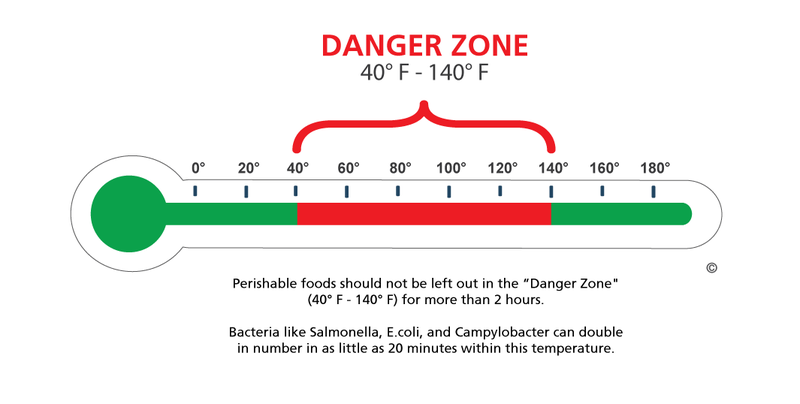 Bacteria love temperatures between 40°F and 140°F, and will grow rapidly if they are in this temperature environment for more than 2 hours. Buffets are a great way to serve food when gathering to watch “the big game.” To keep the food your are serving buffet style free from dangerous bacteria, remember three key things: size, time and temperature. Size. Size refers to the size of the platters or portions you put on the buffet table. Don’t put all your food out at once. Instead, divide what you have prepared onto a number of small platters and dishes ahead of time, and replace them with fresh ones throughout the party. Don’t add new food to an existing serving dish. Bacteria from people’s hands can contaminate the food and the dish. Time. Bacteria multiply rapidly at room temperature. Two hours is the maximum. 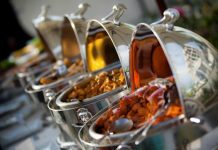 Perishables should not be left out at room temperature for more than two hours, one hour if the buffet is held in a place where the temperature is above 90°F. Throw out all perishable foods when they reach this time unless you’re keeping it hot or cold, which brings us to temperature. Temperature. You need a food thermometer to make sure food is being held or served at the proper temperature. 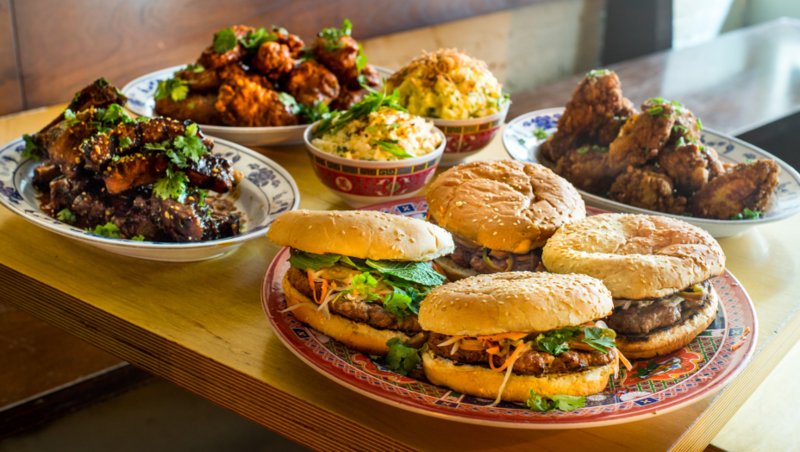 Hot foods should be kept at an internal temperature of 140° F or warmer. Cold foods should be kept at 40° F or colder. Until guests arrive, keep cold dishes refrigerated and hot dishes in the oven set at 200° F to 250° F.
Foodborne illness is caused by eating food that has been contaminated by bacteria, viruses or parasites. Food can become contaminated by these microorganisms at any time before you eat it, including at home during handling, storing and cooking food. Symptoms can start within hours after eating the contaminated food, or sometimes not until days or even weeks later. Usually, people recover quickly and completely , but if not, see a doctor.